Satellite images document targets hit in alleged Israeli strike in Homs on Thursday, including hangar and two hardened aircraft shelters; ‘We are working to stop the transfer of lethal weapons from Syria to Lebanon or their production in Lebanon,’ prime minister says at start of weekly cabinet meeting. A hangar, two hardened aircraft shelters (HAS), and likely a convoy of vehicles or a weapons cache as well, were the targets attacked in the Dabaa military airfield in the Syrian province of Homs on Thursday evening, according to satellite images.Hezbollah attributed the airstrike to Israel and said “it was the biggest attack by the Israel Air Force since the missile night,” referring to the night of May 10, when the Iranian Revolutionary Guards’ Quds Force fired 32 missiles at military posts in the Golan Heights, before Israel’s crushing retaliation. Prime Minister Benjamin Netanyahu addressed the regional developments at the state of Sunday’s weekly cabinet meeting, threatening both Iran and Lebanon. Images from the Sentinel-2 satellite documented the targets hit in the strike on the Syria airbase. 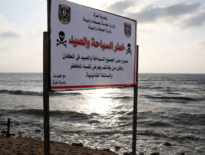 According to an analysis conducted by Ronen Solomon of the Intelli Times blog, three targets were bombed inside the base, including a cargo hangar and two hardened aircraft shelters, in which missiles and mobile antiaircraft missiles can also be stationed. The Syrian war monitoring organization reported over the weekend that the attacked base housed Hezbollah operatives and weapon depots, and Hezbollah’s Al-Akhbar newspaper said several targets had been hit in the airbase. The images indicate that one of the bombed targets may have been a convoy of vehicles or a weapons cache, in light of signs of a fire in the area that was hit. 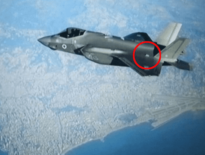 According to Arab media reports, Israel attacked an aid shipment that had arrived from Iran, on the backdrop of estimates that the airfield served as an access point from Iran to Syria and likely to Lebanon too, in light of its proximity to the Lebanon-Syria border. The images show that the airbase underwent construction and expansion works recently, including the creation of the cargo hangar. According to Syrian opposition sources, the construction work was carried out by the Iranians. Air defense trenches may have been built near one of the hangars. On Friday, in a speech marking the “victory celebration day,” 18 years after the IDF’s withdrawal from Lebanon, Hezbollah Secretary-General Hassan Nasrallah accused Israel of attacking Syria from Lebanese territory. 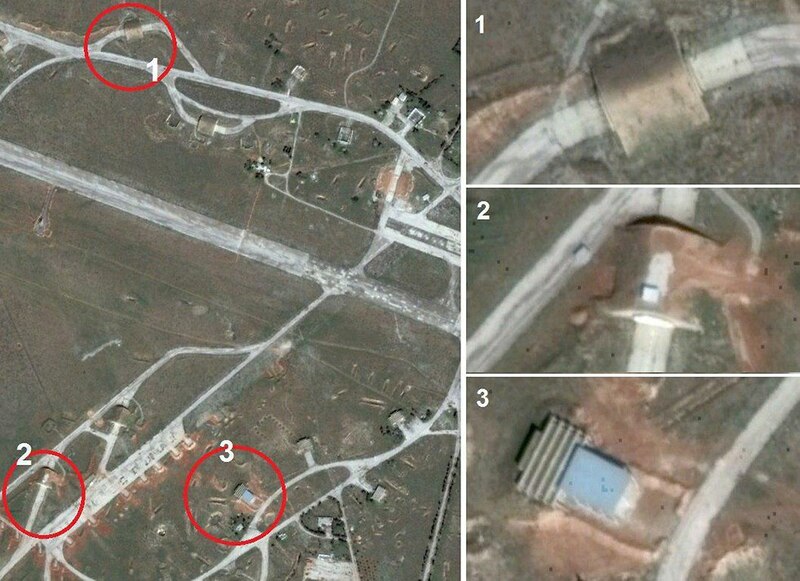 A website affiliated with the Syrian opposition reported in the past that the Assad regime had begun converting the Dabaa airfield, located about 30 kilometers west of the city of Homs, into a “civilian” airport with the help of Iranian elements. The regime’s goal, according to the report, was to provide an alternative airport to the international airport in Damascus, which was subject to nonstop attacks by the rebels organizations. The airfield was to be used to receive supplies crucial for the regime’s survival from its allies in Moscow and Tehran. 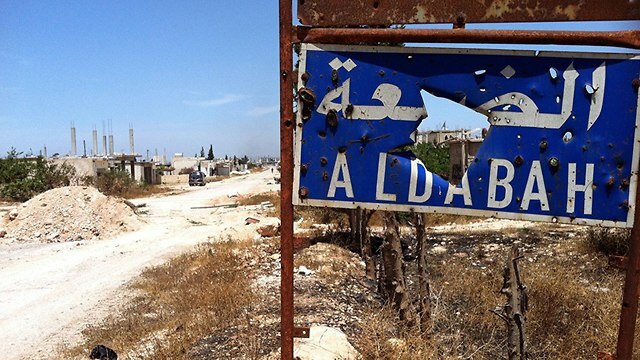 At the start of the civil war, Syrian opposition forces took over the airfield and the nearby areas, but several years later it was reoccupied by the Assad army and its partners.